It was back in 2013 that we had the first hint that Pokkén Tournament was in development when it was shown at the Pokémon Game Show in Japan. 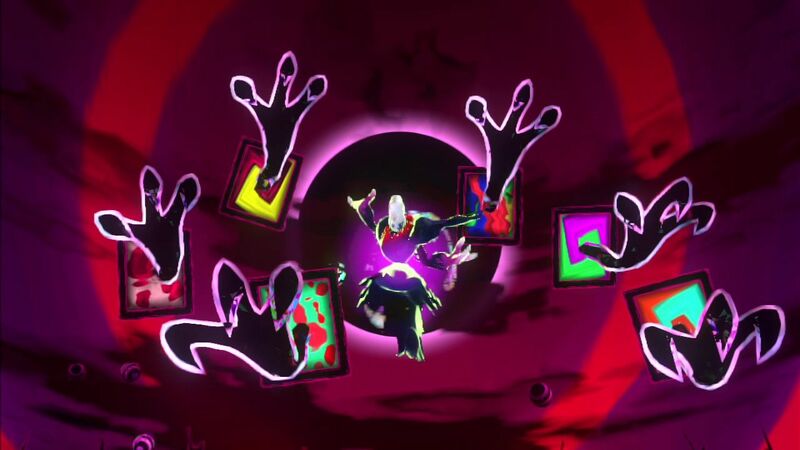 Dismissed as being “merely conceptual images” at the time, that little white lie would lead to the brawler pummeling arcades into submission before finally stepping into the ring on Wii U last year. What soon caused confusion was that while the arcade version continued to receive new content, the ailing console wasn’t thrown a Rare Candy. That prompted speculation that a port was in the works for Nintendo Switch and, six months since the portable home console hit retailers around the world, we now have it. Pokkén Tournament DX is much like Mario Kart 8 Deluxe in that it’s not a sequel, but an enhanced port sprinkled with new content. But, we’ll get to that in time. For the uninitiated, Pokkén Tournament is a fighting game developed by Bandai Namco Studios, under guidance from Tekken series director Katsuhiro Harada and Soul Calibur series director Masaki Hoshino. Their combined experience has resulted in a game that is both a 2D and arena fighter. As you land moves on your opponent, it will switch seamlessly between the two. The moves that you can use work in a triangle, with counters beating normal moves, grabs beating counters, and moves beating grabs. There’s no specific high or low mechanics in this game that you normally see in the genre which makes this game easy to jump into without button bashing, but has enough depth and complexity for you to become truly skilled. You can call on Support Pokémon in combat that can either help boost your stats or damage the opponent that you face. Your Pokémon also has a powerful move known as a Burst Attack that can deal a lot of damage if it successfully connects, and can easily finish off the match in no time. The brawler even has a fairly popular competitive circuit as well, with two World Champions having already been crowned for it at this point. As to what’s new, Pokkén Tournament DX builds upon the framework of its Wii U predecessor but throws in some new features. First, it adds five new Pokémon to fight as in Decidueye, Darkrai, Empoleon, Scizor and Croagunk, as well as the Support Pokémon Litten and Popplio from Pokémon Sun and Pokémon Moon. There are also two new stages in Thalia Beach and Snow Gift, but that’s pretty much all that has been added to build on the game’s core mechanics. Each new character typically presents its own unique twist that not only makes them fun to play as but entirely different in their play style. 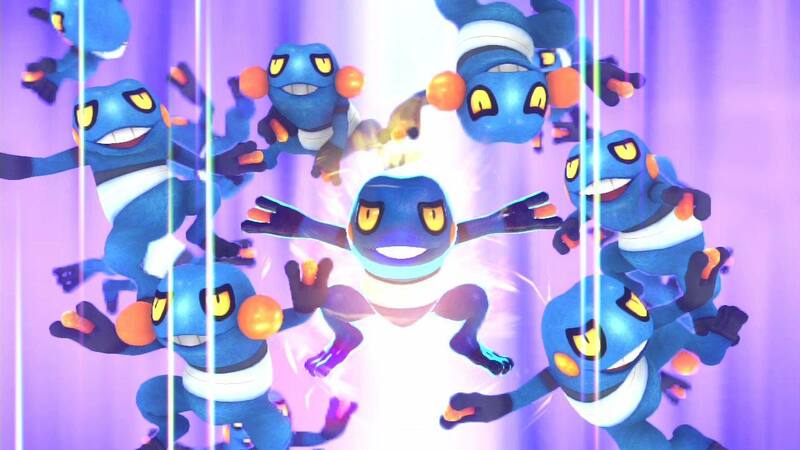 Croagunk, for example, will produce an unpredictable chuckle thanks to a randomised move that can soon see it debuff itself. There are new modes to hop into, the main addition being a special Team Battle. Here, you and your opponent both select three different Pokémon. Then, you take on each other’s selection one at a time with the first player to knock out all three of their opponent’s Pokémon declared the winner. This is a great addition that changes how you approach the battles. The other is Daily Challenge, that presents players with a challenge to face each day. These can range from Win 3 battles to completing a Team Match, and, more often than not, acts as a way to encourage you to play more broadly across the character roster – rewarding you with the chance to boost your Pokémon. Local multiplayer has also been shored up a little. Rather than the haphazard method on Wii U where one player played on the Wii U GamePad and another on the TV, Pokkén Tournament DX presents multiple choices for you that will depend on the situation. First is Wireless where each player has their own Switch, and, therefore, can play on their own screen. It’s simple enough. The next is a bit more finicky. You can have local battles on one Switch using two controllers. There are two settings here. The first is that both players share the same viewpoint so Player 2 is far in the distance while Player 1 keeps the camera’s core focus. This provides a bit of an advantage to Player 1 as they can see more of their movements, and, understandably, because the camera reacts to what they are doing. Alternatively, you could run the game in a split-screen mode. This sees the split vertically, leaving each player with a 16:9 screen of what would have been the display if you were playing on separate Switch consoles. It’s certainly not an ideal solution, but it works well and the game doesn’t noticeably drop in visual quality. If you’d rather take the fight online, then you will be pleased to know that the online multiplayer packs just as much punch as it did on Wii U. Here, you can play in Ranked Modes where your overall score is tracked over time and month, or, for less pressure, you can step into the ring in friendly matches. Matchmaking wasn’t problematic, but it is impossible to test pre-release before the servers are let loose on the public. There’s also a new feature where you can view replays of your matches, so if you lose you can take time to look back on where you went wrong. The single player, where you take on the Ferrum League, remains largely untouched. As it’s the same as before, it faces the same problem in feeling like idle busy work to progress the limited story. There’s more diversity thanks to the five new characters, but it will still feel like a slog to most and will take around eight hours to beat. That would be fine if it wasn’t just the same fights over and over again, your enthusiasm waning against repetition and an ever-climbing difficulty. At least all stages, Support Pokémon and Pokémon characters are unlocked straight away, meaning that you can play with whichever you have become proficient as. In an effort to keep you entertained, Pokkén Tournament DX introduces Mission Panels to the Ferrum League. These will challenge you to complete specific tasks while participating in a particular league, rewarding players with bonuses such as clothing options for their avatar, titles, and coins. There are new choices to unlock compared to the Wii U version which is welcome, as always. In the graphics department, there hasn’t been much improvement. It’s running at a higher resolution with a new constant 60fps, but it’s far from the best that we already have seen on Switch in the past six months. The backgrounds are blurry with the low-resolution Pokémon and characters that wander them detracting from the game’s presentation. These could have been far more intricate and, while the game can often seem disappointing visually, it still looks solid – especially when played in Handheld Mode, where there is a marked improvement when playing on the Switch’s screen compared to how it looked on the Wii U GamePad. The sound adds to the spectacle, even if, like before, you will quickly want to turn off Nia – an enthusiastic assistant that channels her inner Navi to constantly shower praise, cheer you on, and provide pointers on how to play. It’s encouraging for younger players, but will soon grate on those that don’t need such guidance. 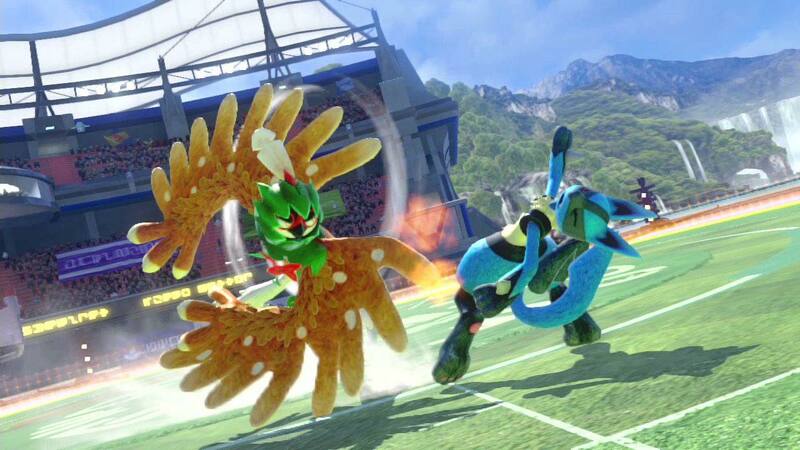 Pokkén Tournament DX remains a robust, fun and accessible fighter. It sports some incredible mechanics, with the seamless shifts between 2D and 3D planes easily helping to make each brawl feel exciting. But there isn’t much improvement on the original away from new content, meaning that those who have pummeled their opponents into submission on Wii U may be more conflicted about a second purchase – although it will be where the competitive community shifts to. For those that haven’t already enjoyed heated mano-a-mano matches between Pokémon, it’s the perfect chance to play an exciting fighting game that’s packed with new ideas. Taking the demo on the Nintendo eShop for a spin will be your best indication as to whether this pocket monster brawler is for you.